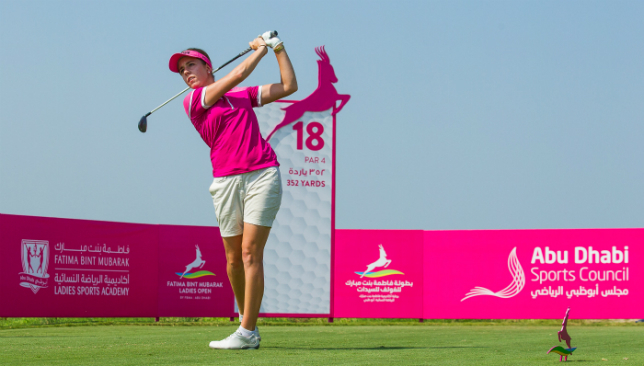 Some of the biggest names in women’s golf have confirmed their participation at this year’s Fatima Bint Mubarak Ladies Open, which gets underway at the iconic Saadiyat Beach Golf Club, in Abu Dhabi in just under two weeks’ time. Renowned as being one of Abu Dhabi’s top sporting and family events, this year’s tournament will take place from Wednesday November 1 through to Saturday November 4. Two players who came close to victory last year, Georgia Hall and Mel Reid, will be looking to go one better at this year’s tournament. Georgia’s ascent to the top of ladies golf has been rapid since turning professional three years ago. She featured in Europe’s Solheim Cup team in August, and has been a prominent figure on the LET tour this year and is full of confidence with six top-10 finishes from eight appearances. The Fatima Bint Mubarak Ladies Open is open to the public to attend and runs from Wednesday, 1st November to Saturday, 4th November, 2017 at Saadiyat Beach Golf Club. People can register for free tickets at www.fbmladiesopen.com/tickets. More information is available at www.fbmladiesopen.com, on Instagram and Twitter (@FBMLadiesOpen), and on Facebook. 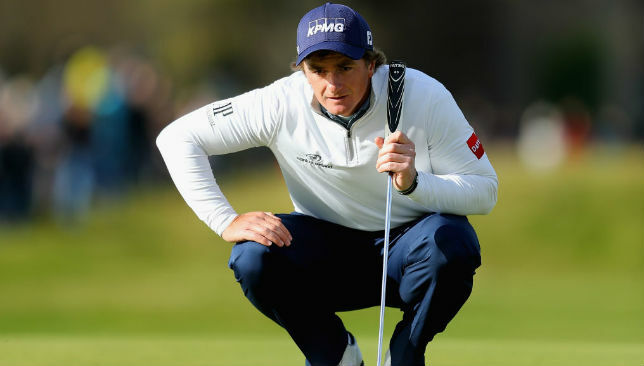 Ireland’s Paul Dunne continues to ride the crest of a golfing wave, sharing the lead at five under par after shooting a 67 in the first round of the Alfred Dunhill Links Championship. The 24-year-old – fresh from winning the British Masters last weekend – eagled the ninth hole and picked up four birdies in bright but cold and windy conditions on the Old Course at St. Andrews – one of three host venues in the $US5 million pro-am event. The Irishman shares the lead with Belgium’s Nicolas Colsaerts who fought back from a horror triple bogey at the third hole at Kingsbarns to birdie the next three holes and added two further birdies on the closing two holes. Dunne’s only mistake was dropping a shot on the 17th at the famed ‘Road Hole’ and then missing his birdie attempt at the last. “It felt a lot different teeing-up as a European Tour winner as Monday, Tuesday and Wednesday just flew by this week,” he said. “It felt good and my game still feels good, and I got onto the first tee still feeling confident with my swing and the win does take the pressure off you. Dunne was competing at St. Andrews for the first time in two years after leading the Open Championship heading into the last round. However, after his dramatic victory less than a week ago – which included birdies on his closing two holes to deny four-time major winner Rory McIlroy – Dunne is a lot more confident. “Leading the Open was a good thing for me as it opened so many doors in terms of sponsors and invitations but then how many times are you going to lead The Open and St. Andrews with a round to go?” he said. Colsaerts, 34, is seeking a first victory in more than five years but after his horror start the Belgian was pleased to turn it around. “I just kept very much composed and it really could have been a lot lower but I pressed it till the end, which is nice,” he said. Five players – defending champion Tyrrell Hatton and Oliver Fisher from England, New Zealand’s Ryan Fox, Ireland’s Shane Lowry and Frenchman Joel Stalter – share third place at four under par. McIlroy looked no closer to winning a first tournament this year, and in his last event of 2017, shooting a one-over 73. “It was difficult to get any momentum going and that’s the big thing as you’re waiting around a lot and you don’t really have any rhythm or anything,” said McIlroy. 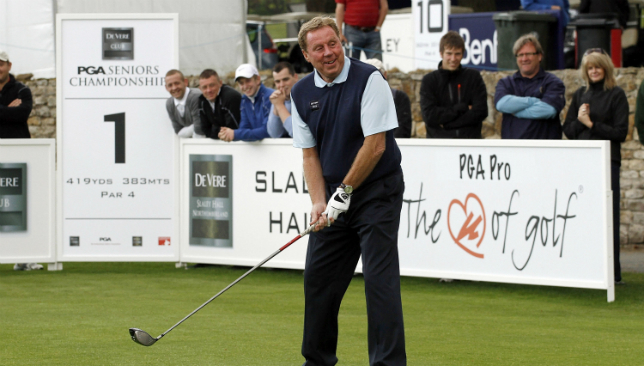 Harry Redknapp will be among the attendees at the The ‘Swing Against Cancer’ Charity Golf Series finale, which will feature sporting legends from football, rugby, and golf, on October 26 at Jumeirah Golf Estates. The former Tottenham, Portsmouth, and Southampton manager, whose most recent job was as manager of Championship side Birmingham city, is set to be one of the star attractions at the event, which will include a celebrity Q&A and a chance for pro and amateur golfers to compete against celebrities for two grand prizes. The Swing Against Cancer Charity Golf Series 2017, launched by Sixteen10 and Worlswide Golf, follows on from the success of the Mike Clark Charity Golf Day, which over four years has raised more than US$125,000 for the Friends of Cancer Patients Society (FoCP), and over $50,000 in 2016 alone. Clark, a former UAE resident, golfing enthusiast, and Jumeirah Golf Estates employee, tragically passed away from cancer aged 30 on October 16, 2012 – hence the name Sixteen10. This year’s event will help raise much needed funds for the Friends of Cancer Patients society, and will go directly towards the treatment of two UAE residents, Waleed, a 37-year-old man suffering from rectal cancer, and a 2-year-old boy suffering from leukaemia.